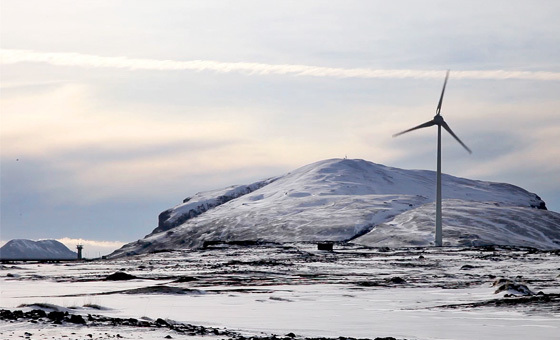 Landsvirkjun’s energy production in the year 2013 was successful. The sold volume amounted to 13,186 GWh in the year, which is a record high in the Company’s history. This year, construction work on Budarhals Hydropower Station was for the most part concluded and the new power station will result in increased production capacity for the Company in 2014. Revenue increased between years due to the increased sale of electric power and increased transmission income. However, the world market price of aluminium decreased during the year. The return from core operation, profit before unrealised financial items, has increased in the last few years and 2013 was the most profitable year in the Company’s history. Despite these results, there was a loss on the Company's operation after tax. The loss can be traced to the decrease in world market aluminium prices, reflected in the significant decrease in the carrying amount of embedded derivatives, on which the Company can have a limited effect. Cash flow from operations amounted to USD 258.5 million, which is the second highest in the Group's history. Investments increased from the previous year but due to good cash flow the Company continued to decrease debt and improve its financial standing. Landsvirkjun has in the past years been systematically working on reducing its exposure to risk. Its main financial risks are related to aluminium prices, interest rates and foreign exchange rates against the USD. Profit before unrealised financial items is the criterion used by Landsvirkjun in evaluating the Company's core operation. Profit before unrealised financial items amounted to USD 121.8 million in the year 2013 compared to USD 103.7 million in the previous year. The Company uses this criterion as unrealised financial items do not affect cash flow. Investing activities in the year 2013 amounted to USD 149.5 million but only USD 10 million were due to maintenance investments related to power stations and the transmission system, i.e. investments which are necessary for the Company to continue its current operation. The Company's free cash flow therefore amounted to USD 248 million in the year. The Company's free cash flow can be utilised for new investments (which amounted to USD 138 million), amortisation of debt or dividend payments to owners. Cash and cash equivalents before financing activities amounted to USD 109 million in the year. The Company's net debt amounted to USD 2,429 million at year-end, 2013 and remain unchanged despite the fact that cash from operation, taken into account investments, amounted to USD 109 million. This is mainly due to calculated foreign exchange loss on loans in other currencies than USD and indexation. The weighted average maturity time of the loan portfolio was around 6.3 years. The Company’s equity decreased slightly during the year and amounted to USD 1,658.1 million at year-end. Equity ratio also decreased and was 36.3% at year-end, 2013 compared to 37.6% at year-end, 2012. "Landsvirkjun’s operations were successful in 2013 and a historical high was achieved by the Company, this year, when electricity sales increased by 416 GWh. Revenue increased by 3.7% and the profit before unrealised financial items and EBITDA also increased. Landsvirkjun suffered losses this year, despite the success of operations within a difficult market environment. This can mainly be attributed to decreasing aluminium prices worldwide and the effects of this on contractual energy prices. Landsvirkjun’s performance will continue to rely on the unpredictable development of currently low aluminium prices, interest rates and exchange rates." Landsvirkjun will continue to place an emphasis on decreasing leverage and work on improving efficiency and decreasing risk exposure in the Company’s operation. Landsvirkjun's results will for the most part be subject to the development in aluminium prices, interest rates and foreign exchange rates. The Company’s income is partly linked to aluminium prices and changes in worldwide market aluminium prices therefore continue to have an effect on Landsvirkjun's future income. 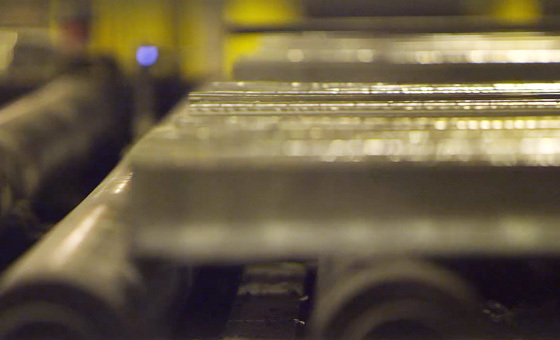 Currently, the price of aluminium is low and there is uncertainty with regard to its development in the next months. The majority of the Company’s loans are on floating interest rates and continued low interest rates are therefore important for operations. The last water year (which is from the 1st of October to the 30th of September each year) was unfavourable due to the lack of precipitation and cold weather in the highlands. Subsequently, Landsvirkjun’s reservoirs did not fill last autumn and the inflow to the reservoirs was well below average. 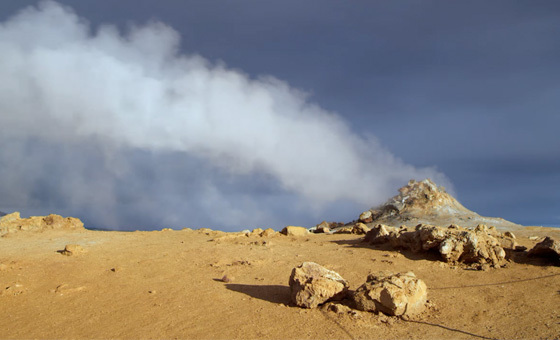 Landsvirkjun therefore made an announcement on reduced residual energy. Pending reductions are in full accordance with electricity power contracts and are assumed to amount to up to 2% of estimated electric power sales in the year 2014. However, the situation could change rapidly and reductions would then be cancelled. Budarhals Hydropower Station was formally launched and taken into full operation in March 2014. 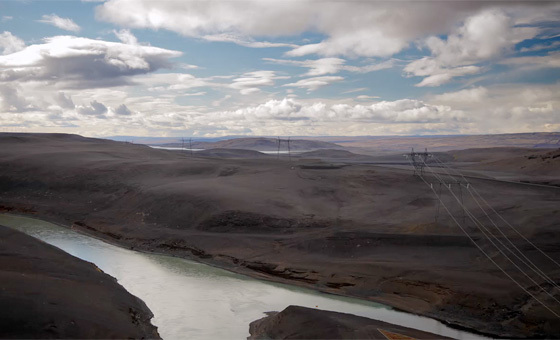 Landsvirkjun's next potential power station projects are located in North-East Iceland but their progression is contingent upon power sales agreements and the relevant authorisation. Landsvirkjun will continue to place an emphasis on decreasing the Company's extensive debt. Landsvirkjun’s mortgages on foreign loans (until the year 2018) are estimated at around ISK 128 billion. The greatest part of the Company’s cash from operation will therefore (as has been the case in past years) be utilised to pay mortgages on debts. From year-end, 2009 net liabilities have decreased by USD 395 million but that notwithstanding Landsvirkjun is still greatly leveraged. Net liabilities are now 7.4 times EBITDA, which is around twice as high as in comparable energy companies in neighbouring countries. Landsvirkjun aims to decrease this rate to below 5 within a few years, which would create more space for refinancing foreign debt, in the long term, at favourable interest terms.